Why Are We Filipinos Poor...in a country with rich natural resources? To understand the perennial socioeconomic and political predicaments of our homeland and fellow native Filipinos in the Philippines, we have to know our past, specifically the political and economic decisions made by our past and current rulers. How far into our past do we go? Frankly, we can look back as far as we want: to pre-Spanish times,Spanish colonization, American intervention and colonization, Japanese occupation, post-WW2, etc. 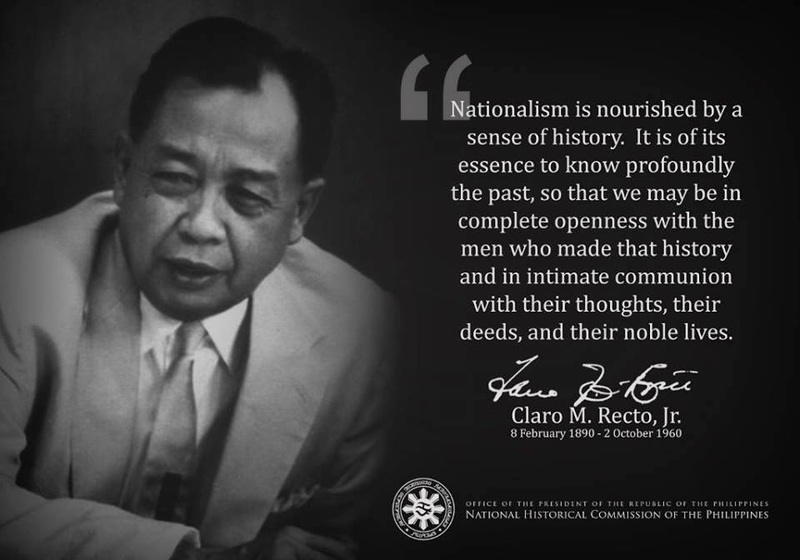 But In terms of greater relevance and causation, the greater portion of our economic predicament and precipitous downfall (concomitant and resultant societal decline) came about with the Marcos Dictatorship and its imposed economic policies, which were/are then continued by subsequent ruling regimes, in cahoots with their native, resident aliens/foreign partners. Below article is about 9 years old but provides a brief outline of the direction our rulers took on their own: the easy way out for themselves to stay in power, yielding to external pressures, such as those programs imposed by the IMF and WB, nowadays via the World Trade Organization (WTO) rules which brought and continually bring the impoverishing consequences to our fellow natives in terms of peso devaluation, inflation, loss of job opportunities, factory closures, agricultural demise, emasculation of labor unions and spread of job insecurities, and diaspora/escape via OFW to "modern" slavery abroad, etc. to name a few. Not to mention the continuing political and social repression to support such economic policies, that is, military and paramilitary actions (extra-judicial methods first implemented during the Marcos Dictatorship) against dissenters: via disappearances, assassinations, incarcerations and tortures, etc. We continue to hear and read praises neocolonialism aka neoliberalism aka globalization (globalism with cultural globalization) from some of our fellow Filipinos/opinion makers and those who directly or indirectly profit from it; despite the greatest misery and impoverishment economic globalization has bestowed on our native Filipino majority (and assuredly their children and grandchildren in the next generations). We continue to hear and read that we are poor because we did not go into export industrialization -where were they all these years or are they just mouthpieces of the rulers and foreigners playing that old tune? We hear and read that we native Filipinos just breed like rabbits, that we are lazy, etc., ad nauseam. Anyway, we'll touch on these other matters in later posts. $ 61 billion as of Sept 2012 BSP Statistical Data), $51 billion in 2000, $26 billion when Marcos fled, $2 billion in 1972 or start of the Marcos Dictatorship and $600 million when Marcos came to the presidency in 1965. Throughout the years since, the ruling regimes never paid or unable to pay beyond the required interest payments on the loans. The economic crisis that has been affecting the global economy for the last two and a half years started in East Asia. We've heard story after story about the problems in Thailand, South Korea, Indonesia, Malaysia, China, and even Japan--but we've heard almost nothing about the situation in the Philippines. Is there something that the U.S. government, the International Monetary Fund (IMF), and the World Bank don't want us to know about the situation there? The IMF has acted as the mean cop for the global financial system for a long time, but its role in this crisis has brought it new notoriety. In every case in which it has gotten involved, its prescriptions have been the same: reduce or end any restrictions on global flow of capital; don't defend the domestic currency by purchasing it with foreign reserves--let it fall until it stabilizes in the market; and raise interest rates as high as necessary to keep capital in or attract capital to invest. (These prescriptions benefit multinational corporations and foreign investors, who are largely--but not exclusively--based in the United States.) And do not worry about the social consequences of adopting such an economic program. In every case, the result has been the same: each economy that has followed IMF prescriptions has seen widespread social dislocation. Hundreds of thousands of jobs have been lost, and standards of living have plunged drastically, even for those who still have jobs. The cost of internationally traded goods and services has increased, due to local currency devaluation against the U.S. dollar (the denomination in which most goods are traded on global markets). Poverty and malnutrition have increased, as have the number of related deaths. However, foreign investors have been able to purchase goods and services, raw materials, and even entire corporations more cheaply since the onset of the crisis than before. The global crisis has also hit the U.S. economy in some sectors, although the impact has been masked overall by strong stock markets, low inflation, and low unemployment rates. Tourism in Hawaii, on which the state is largely dependent, has been devastated; agriculture (particularly corn) and agricultural machinery manufacturing have been hit hard in the Midwest; and so much steel has been dumped in the United States that the United Steel Workers have joined the steel companies in demanding import protection. In addition, the U.S. balance of trade--which measures the difference between exports of goods and services and imports of goods and services--was -118.1 billion dollars between January and June 1999; this exceeds all of 1997 (-104.7 billion dollars--itself a record at the time), and will certainly exceed the 164.3 billion dollar deficit of 1998. I want to address the situation of these countries, but instead of perhaps another litany of the horror of the crisis-by the summer of 1998, Business Week was already referring to the situation on the ground in Asia as a "depression"-I want to focus on the general solution as proposed by the IMF. To do this, it is necessary to look at the situation in the Philippines. The Philippines is, in some ways, a special case: while its economic development program has been based on neo-liberal principles promoted by the IMF and the World Bank, it did not begin as a response to the recent crisis; the Philippines has been carrying out a neo-liberal development program since 1962. An examination of these experiences, therefore, should give some idea of the quality of "advice" being given to economically less-developed countries by the global watchdogs. And while I don't excuse the Philippine elite for their role in this, I want to focus on what a neo-liberal program has meant to a country that has been following its prescriptions for the past thirty-seven years. When the Philippines was granted "independence" by the United States in 1946, it had been devastated by the Second World War; the United States used this to set up a neocolonial relationship with the now-ruling elites. Economic relief was made dependent on political and economic concessions to U.S. investors, establishment of U.S. military bases across the country, and a currency whose value in relationship to the U.S. dollar could not be changed without the explicit permission of the U.S. President. These impositions, in addition to the extractive economy and corrupt political system, were all "grants" to the newly freed nation. Unwilling to implement a genuine land reform program, the elites tried industrializing as a way of restoring the economy, pacifying the peasants and workers, and maintaining their land-based power. Although I don't want to ignore the repression directed against peasants and workers (or the direct involvement of the CIA), I'm going to limit my focus here to the economic policies implemented. From 3 percent in 1949, almost 18 percent of the total national income was derived from manufacturing in 1960. And it was largely built by Filipinos: from 1949 to 1961, Filipinos had invested 1,400 million pesos in new activities, as compared to 425 million by the Chinese (mostly Chinese-Filipinos) and only thirty-one million by U.S. investors. The Philippines was then considered to be the next Japan of Asia. However, Diosdado Macapagal was elected President of the country, and one of his first acts after assuming the presidency in January 1962 was to terminate all controls immediately. This was supported by U.S. President Kennedy, who arranged for the Philippines to receive an immediate three hundred million dollar loan from the IMF to cover the repatriation of three hundred million dollars of U.S. corporate profits. This was the beginning of the Philippines' debt dependence. This resulted in the bankruptcy and collapse of many businesses. The balance of payments situation worsened: imports increased 68 percent between 1963 and 1967, while exports only increased seven percent. The foreign debt doubled from 275 million dollars in 1962 to approximately six hundred million dollars in 1965. And the manufacturing share of Gross National Product (GNP) decreased from 17.9 percent in 1962 to 7.1 percent in 1965. So, by the mid-1960s, the economy that had looked so promising going into the decade was a shambles. Different forces with a belief in neo-liberal economics--including Filipino economists like Gerardo Sicat, and the IMF and World Bank--encouraged the government to launch an export-oriented industrialization program to solve the crisis, which was caused by neo-liberal deregulation in the first place. By the early 1970s, the World Bank's role in the industrialization strategy had become crucial. While it had provided the Philippines with only 326 million dollars in loans between 1950 and 1972, it gave the Philippines more than 2.6 billion dollars between 1973 and 1981. In addition to the money provided, the Bank legitimized the country's economic plan to international financial institutions. Not coincidentally, the Marcos government decided to follow Bank strategy for development, focusing on "industrializing efforts emphasizing the manufacture of labor-intensive exports with the strong participation of foreign capital," again according to Bello, Kinley, and Elinson. The impact on wages for urban workers for the period 1962 to 1986 was disastrous. Boyce computed the impact of changes in wages in metropolitan Manila over this period: "In real (1986) U.S. dollars, the daily wage of an unskilled worker fell from $4.37 in 1962 to $1.12 in 1986, while that of a skilled worker fell from $6.18 to $1.72." In other words, daily wage rates for a unskilled worker in 1986 were 74.3 percent less than in 1962, while daily wages rates for a skilled worker in 1986 were 72.2 percent less! In fact, in 1986, the daily wage of an unskilled urban worker was substantially below that of an agricultural worker. Boyce concludes: "wage laborers in Metro Manila experienced a collapse in real wages in the 1970s and 1980s on a magnitude with few precedents in modem economic history." To give one more specific example: South Korea had a GNP per capita of 330 dollars in 1962, which was 165 dollars per person behind the Philippines; by 1986, South Korea had a GNP per capita of 2345 dollars, or 1805 dollars per person ahead of the Philippines! The neo-liberal program of the Philippines compared poorly to state-led industrial development of South Korea (and both countries were ruled by dictators over most of this period). But what has happened since the overthrow of the dictator? Marcos' successors--Corazon Aquino (1986-1992), Fidel Ramos (1992-1998), and Joseph Estrada (1998-2004)--have continued to follow an EOI strategy. Aquino committed her government to repaying all foreign debts, including the ones that only benefited Marcos and/or his "cronies," and Ramos and Estrada have followed suit. Researchers have detailed how recent presidents have gone along with the World Bank and the IMF machinations in exchange for loans. This was true under Marcos, and it has remained true since. Why? I think Temario Rivera is correct when he suggests that there is a larger reason: the ability to obtain foreign loans, no matter how bad for the country, allows political "leaders" to ignore the key issue in the country --political power based on land ownership. The neo-liberal economic program has made things worse for the large majority of Filipinos. By November 1992, while evaluating President Ramos' first one hundred days in office, IBON Databank, a Non-Governmental Organization (NGO) that focuses on the economy, estimated that the number of Filipinos living under the Filipino poverty line had increased from 70 percent to 75 percent, and noted that a peso in 1992 "could only buy 60 centavos of what it could have bought in 1988." The numbers in poverty are likely to have been somewhat reduced between 1994 and 1997, when the GNP of the country grew over 5 percent each year. Roger Daenekindt, using Department of Labor and Employment figures from September 1995, reported that 62 percent of the 29.2-million-member labor force was either unemployed or underemployed. Furthermore, only 10 percent of the labor force received at least the minimum wage, but even this was insufficient, as the minimum wage itself resulted in income below the poverty line. In 1994, according to the government, the daily cost of living was P237.57 (approximately 9.50 U.S. dollars), while the mandated daily minimum wage was only P145 (approximately 5.80 U.S. dollars). Additionally, while nominal wages increased by more than two hundred percent between 1983 and 1993, real wages for all workers (based on 1978 prices) actually decreased by 14 percent, and despite nominal wages increasing 32 percent between 1990 and 1993, real wages fell 4 percent. Daenekindt further noted definite changes in the workplace, toward a more flexible labor regime. And "flexibility" of the labor market means that workers have even fewer chances for regular employment, as workers are forced to compete at an even greater rate than before for the relatively small number of available jobs. This also makes it much more difficult to organize and maintain unions, which means that workers will have even less power in workplaces where they do obtain employment, and that their working conditions will get worse. And that is for those lucky enough to have regular jobs! At the same time that the economy is not providing a sufficient number of jobs for people, and their wages are already horribly insufficient, inflation is eating at the value of the money they do earn. As mentioned above, the real value of wages for urban workers decreased by about 75 percent between 1962 and 1986. But between 1988 and 1994, the purchasing power of the peso declined another 49 percent. The inflation rate was 7.6 percent in 1993, and 9.0 percent in 1994. But the Philippine State has never failed to keep coming up with grand plans designed to solve all of the country's problems in one fell swoop: the latest, initiated under President Fidel Ramos, was "Philippines 2000." Key to Ramos' vision was the Medium Term Development Plan for 1993 to 1998. Ramos stated his goals for the end of his presidency in June 1998: to raise per capita income to 1000 U.S. dollars; for the economy to grow by at least 6 to 8 percent, and for the poverty rate to decline to at least 50 percent. He missed all three. Roger Daenekindt commented: "We are ... told to be outward-looking and accept liberalization. But ... in the case of textile and garments, we enter in a stiff world of competition of cheap labor. Chinese labor is at 25 cents an hour, Vietnamese at 15 cents an hour, Philippines [at] 90 cents an hour, and there are still the countries like India, Bangladesh, Pakistan, etc." Additionally, according to former president Ramos, "Export orientation shall 'enlarge the pie.'" And then the global economic crisis hit. IBON Databank reports that official unemployment jumped from 10.4 percent in April 1997 to 13.3 percent in April 1998--and yet these figures severely undercount real unemployment and don't mention underemployment. However, a 1995 government report from the Department of Labor and Employment said that unemployment and underemployment affected 62 percent of the workforce, and this was when the economy was growing strongly. But IBON also reports that there was 128 percent increase in firms closing between January and May 1998, as compared to a year earlier, and an 88 percent increase in the number of workers being affected by these difficulties. However, if we consider that the country has been in a crisis since it began following a neo-liberal program in 1962, it's clear that the global crisis has, for the Philippines, been simply a continuation of "business as usual." Since 1962, the Philippines has never achieved the advances won by these other countries, and so it was spared the intensity of the drastic fall that the others suffered. And yet, it still suffered more than a 40 percent fall in its currency exchange rates. The neo-liberal program has been a failure on its own terms, even before the onset of the global economic crisis. The peso's value fell from 1.00 dollar: P2 in 1962 to approximately 1.00 dollar: P25 in the mid-1990s. Although exports shifted from traditional ones to nontraditional manufacturers, the balance of trade had deteriorated to -11.3 billion dollars at the end of 1996. GNP has generally increased, albeit very erratically. A neo-liberal approach to development, as advocated by the World Bank and the IMF, has only benefited the global capitalist political-economic networks (including certain Filipino partners), and the Philippine state; and these benefits all come at the direct cost of the large majority of Filipinos. This program has failed on its own terms and been a social disaster as well. Very informative and strong article, thank you very much Mr. Drona!